At this point, Hillary Clinton has exhumed, reanimated, and murdered her own public persona about a dozen times. What’s one more going to do? Either Hillary Clinton is a glutton for embarrassment, or the former First Lady is seriously considering a 2020 presidential run. Heck, I suppose both could be true, with the latter serving to prove the former…but I digress. The reason I wonder about Hillary’s embarrassment addiction comes from a long line of odd maneuvers made by the former Secretary of State in the months following the 2016 election. First of all, Hillary had not even written a concession speech for election night. Then, there were reports of backstage drama and bullish physicality by Clinton, presumably directed at campaign manager Tony Podesta. Then, even after it was clear that the American people had no interest in Clinton’s public persona slithering back out from her mansion in upstate New York, Hillary went ahead and released a book entitled “What Happened”, that purports to tell the tale of the 2016 election with a myriad of excuses for Hillary’s bad behavior. 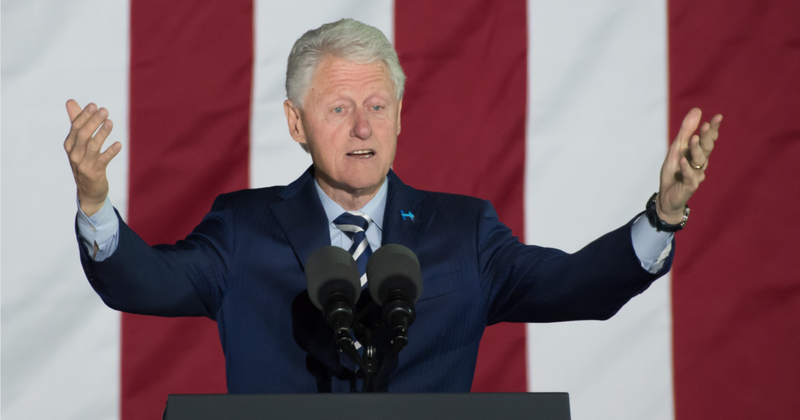 Now on a tour of the nation with her husband Bill, the former President, Americans have once again given Clinton a resounding “no thanks” by driving ticket prices for these appearances down into the $7 range. For the Houston-area event originally slated for Dec. 4, tickets on the official venue website were going for between $29.50 and $399. But a search on second-party sites, like StubHub, revealed tickets going for as low as $7. By comparison, Michelle Obama is commanding anywhere between a few hundred and few thousand dollars per stop.